Some changes are more sensitive than others. Some must remain secret for some time until the organization is mature enough to digest them. In cases like that an external party can be ideal for conducting a study on the change and make an objective report to the management team and the staff. We have vast experience from many organisations conducting feasibility studies leading to a material that is good enough to initiate programmes with. We also have a firm method that we run these studies by that has proven highly successful. Changes with a high impact might be very politically sensitive. Complex organisations tend to be politically sensitive. In environments like that a third party’s opinion might be the only possible option to get acceptance for an initiative. With successful experiences from large, politically complex companies and organisations we thrive in such situations. In some situations, such as large investment programmes for example, conclusions from a study, a preparation or a Business Case doesn’t come across as viable. In these situations an independent study to present a second opinion might be what create credibility to an initiative and may well provide alternative approaches necessary to enable successful decisions, execution and implementation. We are able to provide such studies with high reliability and quality toward different target groups. The most critical changes that are made in organisations are probably changes towards Business models or Operational models. It impacts every aspect of the company or entity in the company. All Strategic change will sooner or later have to take its starting point in the fundamental understanding of the Business model and the Operational model. We provide studies focused on present state models and target state models that will have a fundamentally positive impact on the success of any Strategic Change initiative. The pace of implementation of Artificial intelligence in the companies of today challenge all other changes in to modern technology. Information Technology that learns, develop and evolve, Cognitive Systems, are gaining momentum spearheaded by companies such as Google, Apple and IPSOFT. Soon these systems will be a reality in almost all enterprises. While the technology is inspiring and an enabler for enterprise development, the implementation of systems like this are difficult. The actual installation in the pilot phases are often rather simple, while the ethical implications might prove devastating from many perspectives. What strategies should be considered when implementing Artificial Intelligence and Cognitive Systems? What consequences will the chosen strategy have in comparison to other options? Is an implementation a project or a programme and why should one be chosen over the other? We are able to support you with advise in these questions but also regarding Implementation methods such as if to run an implementation as a programme or a project and how to deal with the technical challenges such as RFI & RFP support, Product selection and Integration considerations. In today’s competitive business environment, solutions for automating and supporting human resources in a more effective way is crucial. These Business Process Management Systems (BPMS) are extremely effective when it comes to delivering customer experience in structured ways towards external customers or increase the operational excellence internally within organizations. A BPMS platform with Case Management functionality is also a foundation for the Digital Transformation. It enables you to work on a customer case through all channels in a transparent way. The market of BPMS has boomed over the last decade and the number of vendors in this segment are vast. Business Dynamics has been working in this area for the last 15 years and have worked with the top vendors in the market. Is the organization executing according to the strategy? Are the overall objectives set by management achieved? We can secure that the BPMS implementation secures the strategy alignment. How do you ensure your companies customer experience strategy is executed towards your customers? Are you delivering your products and/or services in a consistent and coherent way to your customers? All the time? Do you excel in the internal efficiency in mid- and back office? Have you automated internal business processes from end-to-end? Do you have KPI/PPI set in your business processes that you easily can read and act on? Implementing BPMS in organizations is not always easy. One of the challenges often seen is how to get business and IT to work together in order to secure delivery. With our methodology and experience, we can ensure that your company’s implementation will be a success. We also support our customers in setting up different type of setups for implementing BPMS. BPMS can either be used as short term tactical solution where a project needs to deliver a value. It can also be a long term strategic direction where BPMS needs to be rolled out to support the overall strategy. If your company decides to use BPMs as a platform for the long term strategic direction, we can support you in setting up all necessary structures that are needed, like business process governance. Different vendors and products have different areas of strength and weaknesses. Depending on your organizations and the strategic intent you want to use BPMS for, we can support in ensuring that you choose the right vendor, product and system integrator. The starting point of this is of course the strategy and what requirements that puts on your business models and operating models. 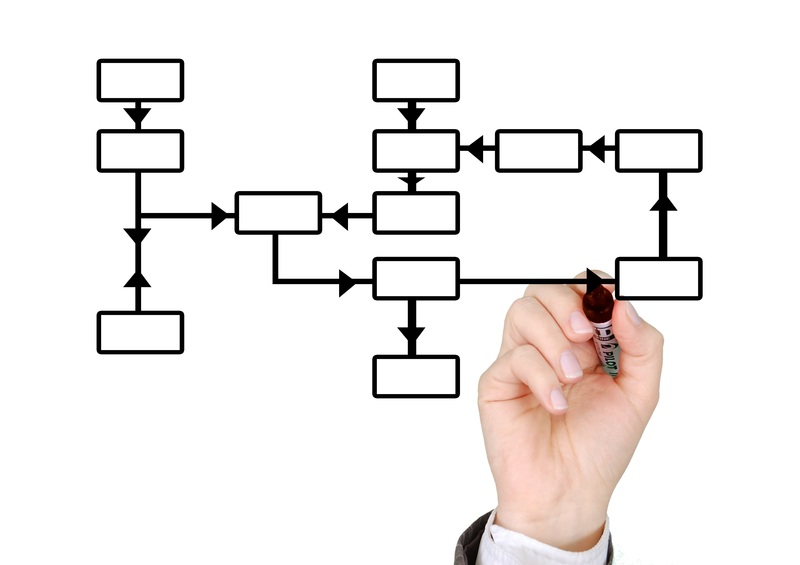 Business Dynamics has a working method that will secure the requirements management. If you want to we can also support you through the whole request for information (RFI) and the request for proposal (RFP) process.